A UNIQUE BRAND DRIVEN MARKETING APPROACH PROVEN TO DRIVE BUSINESS. Already got a brilliant brand? We’ll help protect, fully leverage and build it. Brand lost its way? We’ll re-define it. No brand? We’ll create it for you. We’ll then take it to your audience in a way that maximises the return on your marketing investment – whether digitally, socially or tangibly. Using an award winning blend of research, strategy & creativity delivered across a full range of media, WDA’s unique Brand Driven Marketing approach is PROVEN TO DRIVE BUSINESS. Brand Box used to create a new kind of boxing experience. WDA have delivered a global rebrand project for a leading software business based on Pride Park. 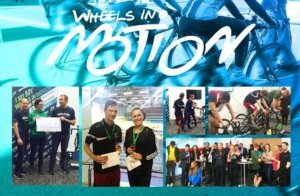 Thrilling grand ﬁnal to the 2015 Wheels in Motion inter-business cycling championship, held at the Derby velodrome. 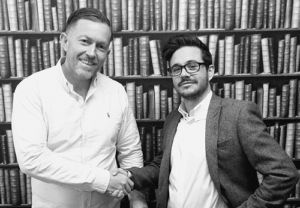 We’re pleased to welcome a new addition to our growing team. Tom Birch is a versatile young designer and creative thinker. His unique skills will complement the studio’s established innovational portfolio. 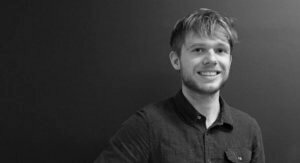 Tom has a passion for Branding, Layout and Typography with an artistic eye and an affinity for writing. Chris brings with him 10 years industry experience, a proven track record of effective brand strategy, creative vision, and team management. Chris built his own agency, Revolver Revolver, working with the likes of FIFA, Loughborough University and Nestlé. WDA Are Hiring: Righties Wanted! If you’re more of a right brain person, with the ability to develop great campaign ideas then read on. We are on the look out for talented designers to join our growing city centre agency. 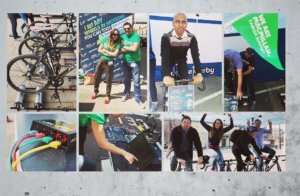 Our award-winning portfolio of work includes campaigns for the likes of Yamaha, Bentley and a raft of interesting local clients. Working with Lee and the guys at WDA was a big leap of faith for Hannells as we had never in our ten year history invested in a marketing agency. However, the end result far exceeded expectations. They gave us a brilliant new positioning which the whole business is now based around, and helped us to re-structure our offering and introduce a whole new side to the business. This has resulted in better services, more satisfied customers, and has generated more income and as a result, more profit. Since working with WDA, our market share has grown to an incredible 36.9% in an extremely competitive environment and our results continue to improve on a monthly basis. I have no doubt that a large part of this continued growth can be attributed to the work put in by Lee and the team. 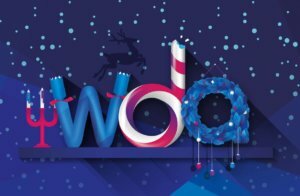 I would highly recommend WDA to anybody that is serious about creating a strong brand with a unique offering and stunning marketing collateral. Thanks to WDA's brilliant marketing strategy and of course the vibrancy of our new brand CPI, we are having the most successful Motorcycle Live retail show ever. The footfall on our stand in the first day alone far exceeded what we took a week last year with our old brand and dated marketing to achieve. Their innovative ideas have hit the mark for us! Great service, friendly team and very knowledgeable about our products and marketplace, first class all round. With regard to the brand WDA has created I have to say it's the best investment we've made in a long time. The new Scorpion brand image has been very well received across all our global markets and we want to do more next year to maintain momentum. Lee and his team are dedicated, committed and professional. Their creative skills are second to none. There is a constantly high level of dedication to ensure that all projects are delivered in a timely manner and achieve the brief set. Lee and his team at WDA are professional and dedicated. I highly recommend them. WDA are an exciting agency who challenge the norm and deliver outstanding value for money. Lee and his team are a pleasure to work with and on top of supporting us to launch on time an outstanding brand have helped us improve our marketing skills and thought processes. I would have no hesitation in recommending WDA - they are an exceptional agency. Creators of the world’s biggest helmet brand Nitro – helping them achieve global sales from zero to 50 million – in just 5 years. Year on year increase of MER sales achieved for Farécla following WDA’s re-brand. Sales against target for retail clothing distribution company Tri-motive branded and marketed exclusively by WDA. Growth to 36.9% market share achieved for Hannells since WDA’s re-brand and marketing campaign implemented.